My father and several of his brothers and cousins served in the military during the Vietnam War. While in different branches, almost everyone (including my dad) served in the Southeast Asia theater of war. The problems that came from volunteering to serve is still evident today with illnesses that came from those years. 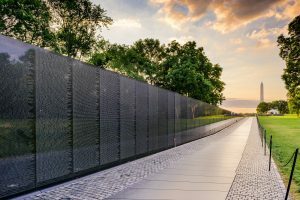 Sadly, many who went through the Vietnam Era have long struggled with issues of pain, depression, PTSD, and other ailments, not to mention the alienation and rejection they faced from a hugely ungrateful nation. Yet, they still did their job. Today, those who appreciate history and the service of these brave men and women are working to change the tide of public opinion, but it is a constant battle. Too often, younger generations have little to no appreciation or understanding as to why we can enjoy the freedoms we have. As a realtor and the son of an honorably discharged veteran, it saddens me to see the benefits promised to our veterans being quickly eroded away. There are still benefits available though and one of those is housing. If you are a veteran, you are entitled to purchase a home with NO MONEY DOWN through a VA loan. Even, if you have used your benefit before, it is NOT a one time only use. The statistics show that less than 12% of veterans use their benefits. Call me today to find out more information, especially if you are renting. Don’t rent when you can purchase a home and probably pay less for your own house. Vietnam Veterans — Thank you to each for your service and for answering the call of duty.